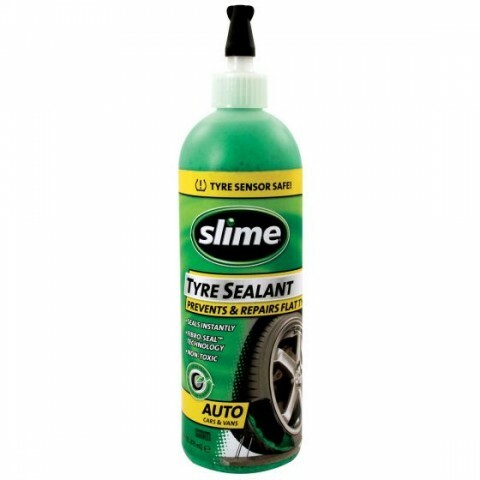 Slime Tyre Sealant is not to be confused with the run of the mill 'get you home' puncture repair tyre additive. Slime is an environment friendly blend of polymers, fibres, binders and congealing agents which actively plugs and seals punctures in the tyre tread area instantly. Slime is added to the tyre via the valve and remains fluid inside the tyre wall. Punctures up to 3mm wide will then be sealed the instant they happen. 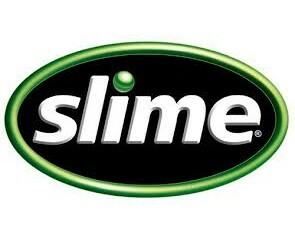 Slime is guaranteed to remain fluid and effective inside the tyre for 2 years. Should you wish to remove Slime simply remove the tyre from the wheel and wash it out. Slime is not recommended for sealing punctures in the tyre sidewall, bead leakage or valve leaks.